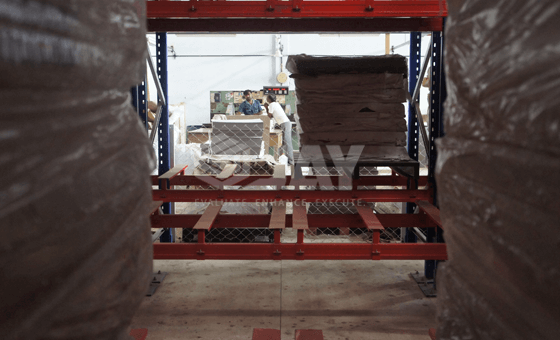 Conventional Pallet Racking for double-deep lift trucks is the best solution for warehouses where it is necessary to keep a wide range of articles in pallets with higher heights. The wide range of profiles and accessories provides optimal adaptation to each load and height requirement. The layout and height of the racking are determined by the characteristics of double deep reach trucks/forklifts, pallets to be stored and the dimensions of the premises. 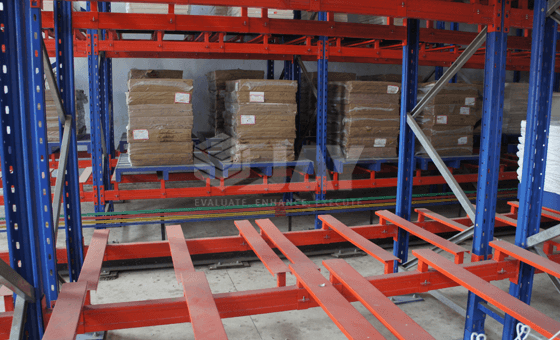 A conventional pallet racking warehouse is generally laid out with a single-entry wall racks on the perimeter sides and double-entry racks in the middle. In order to store a greater number of pallets- depending on their weight & the number of pallets per load type-, double-deep pallet racks can be installed enabling one pallet to be stored in front of another on each side of the aisle. Direct access is only available for the front pallets so it is recommended to store the same pallet types (load and product) in order to minimize the double movement of the forklifts or other lifting machinery. The system requires suitable lifting machinery fitted with double-depth telescopic forks. 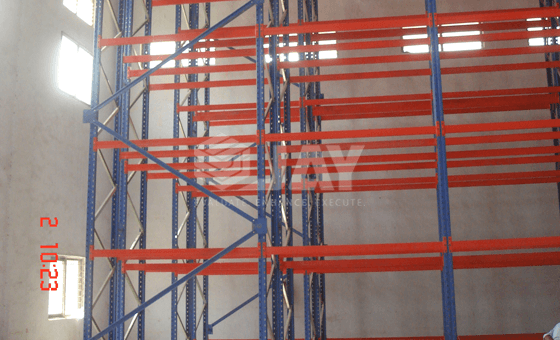 At Jay Storage solutions, we help you to get the best double-deep pallet racking and cold storage racking systems for your warehouse. 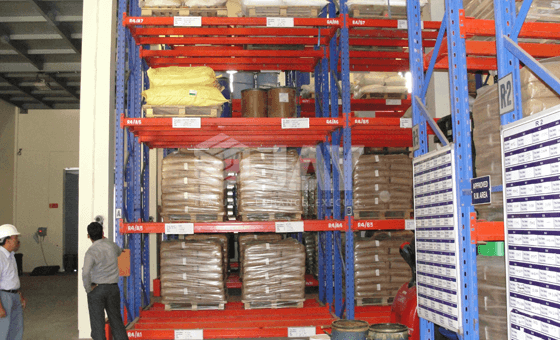 Can increase pallet storage by as much as 10-15% depending on the racking layout. 50% reduction in aisle space compared to conventional pallet racking.